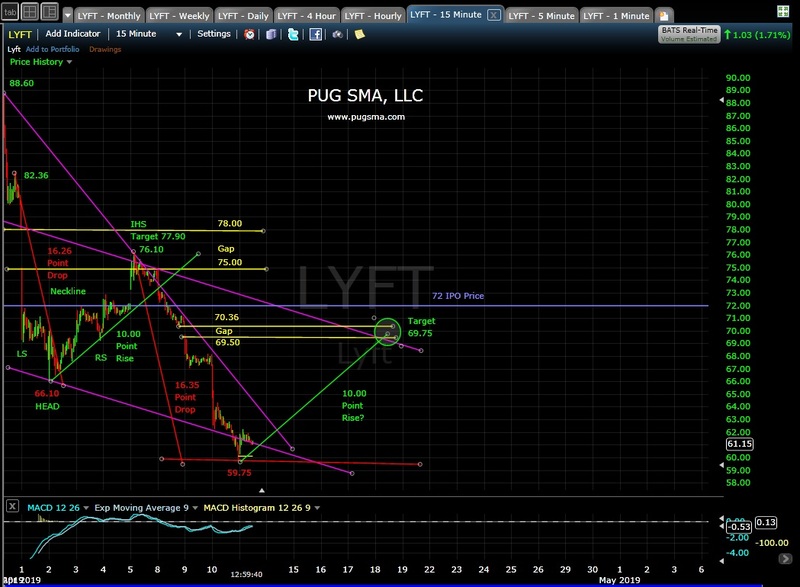 1:30 pm EST: Another very-short term (day or two) set-up in LYFT with a potential double bottom at 55.56 and 55.62. 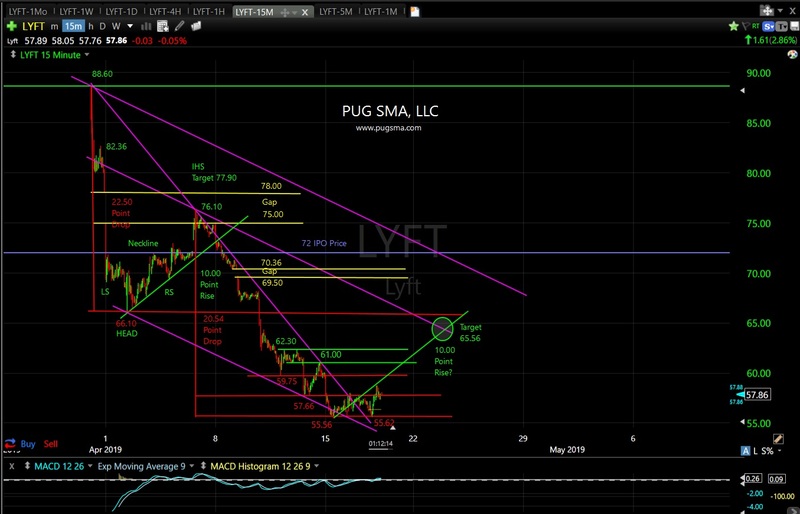 The double bottom target is 60.32 with the break above 57.94. If this double bottom pattern plays out, then there could be a potential bullish IHS pattern set-up with a target of 66.44. Posted in Premium, SP-500 | Enter your password to view comments. 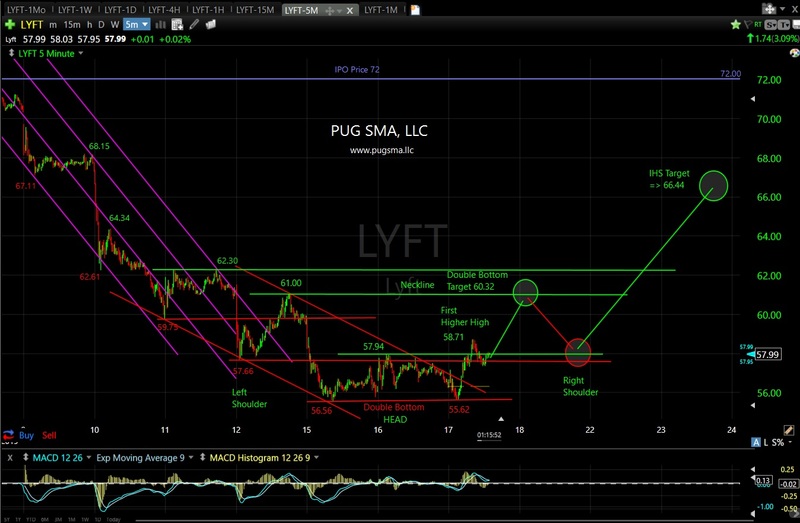 1:05 pm EST: Here’s another short-term (few days to a week) look at LYFT price action. The bullish IHS pattern that was identified off the initial 66.10 low (following a 16 point drop) played out as a 10 point (+15%) move up to 76.10. Now at the 59.75 low, there was another 16 point drop that has the potential to move up another 10 points to 69.75 and the upper (purple) trendline and 70.36 to 69.50 gap area. A break below 59.75, negates this potential bullish short-term pattern. 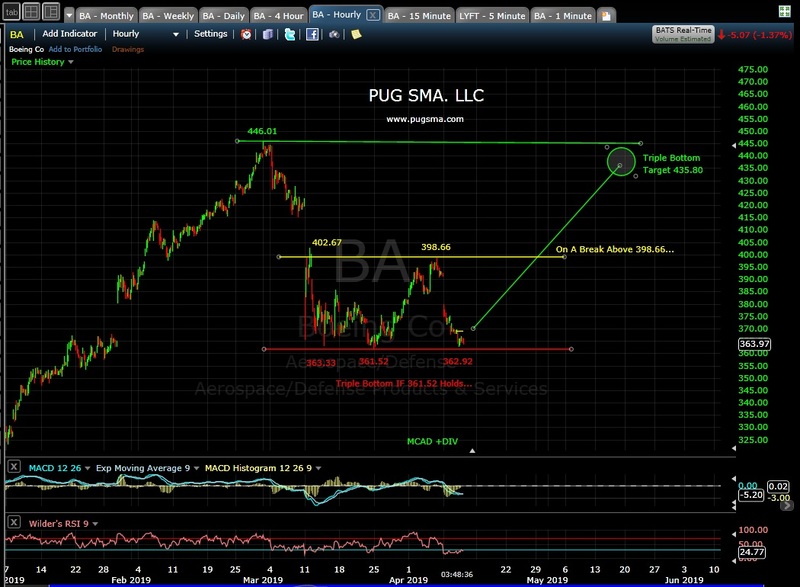 Boeing (BA) has a potential triple bottom at 361.52 with a measured move to 435.80 (which back near the all-time high of 446.01) on a break above 398.66.